Looking for... Pittsburgh Singles Events, Pittsburgh Singles Dances, Pittsburgh Speed Dating, Pittsburgh Singles Groups, Pittsburgh Singles Activities, Pittsburgh Singles Resources, Pittsburgh Singles Networking Opportunities, Singles Dining Clubs, Events for Christian Singles, Jewish Singles and Mature Singles in Pittsburgh, Pittsburgh Singles Parties, Opportunities to Meet Singles, Find Clubs and Dating Sites, Social Events for Singles in Pittsburgh, Local Singles Dating Opportunities... Single Dating Sites... Single Women... 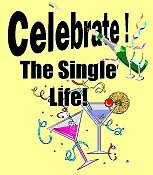 Single Men... and the Pittsburgh Singles Dating Scene ... and are tired of Singles Bars and are looking for nightlife in Pittsburgh... well, you’ve come to the right place. Whether you're a Single Woman or Single Man this is your gateway to Singles Events and Activities in Pittsburgh. It doesn't matter if you're looking for Speed Dating in Pittsburgh, or just plain old fashioned Singles Dining - Singles Dance or Singles Social Events... this is the place to come. You might even find organizations for Christian Singles, Jewish Singles, and Mature Singles... as well as Networking Opportunities... and a whole lot more. Isn't it about time you got out of the house and lived it up a little?... here's your chance! Pittsburgh Ski Club - Though not exactly a Single's organization, the PSC nevertheless has lots of single members and holds numerous social events. Maybe you'll meet your mate on the slopes! Explore Pittsburgh! - Though not strictly for Singles, this group is for young professionals, ages 21-45, that are interested in enjoying all that Pittsburgh has to offer. Happy hours, sporting events, outdoor activities, dinner, and live entertainment are just some of the activities that they offer. Pittsburgh Single Professionals - This is a group for Singles who love fun, adventure and live action games. Saturday Singles - For singles in their mid-thirties and up they offer an environment for socializing, networking, theme-related social events, and optional dancing. Three Rivers Singles Golf Club - They offer Singles the opportunity to meet, golf and network with other Singles. This 12 year non-profit organization accepts golfers of all skill levels. Pittsburgh Craft Beer Meetup - Though not strictly for Singles, this group holds gatherings at local brewpubs and bars with great beer lists. They also offer visits to local beer festivals and road trips to non-local breweries.